At Motivation we strive to bring you the latest and very best in lifting technology to help you with everything related to material handling. 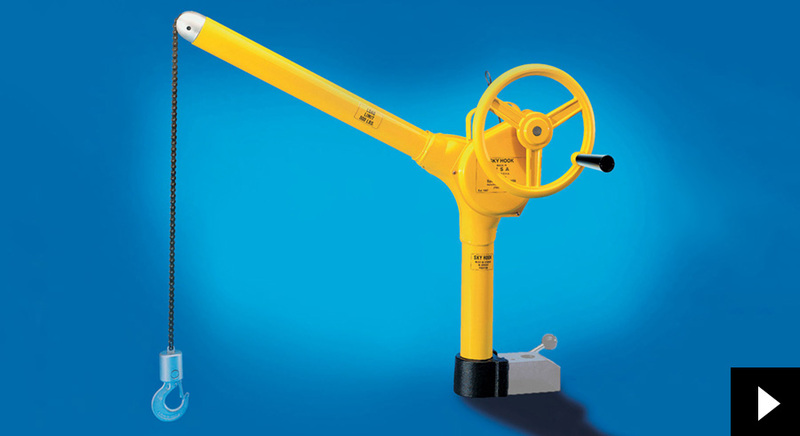 The kky hook is a revolutionary portable lifting device that can be bolted to any suitable flat surface, and even slides onto the hitch of your truck or trolley. This device revolutionizes portable lifting equipment. • Lifts up to 500 lbs.